And Wyatt is just so adorable!! Such a sweet post and so thoughtful of your husband! 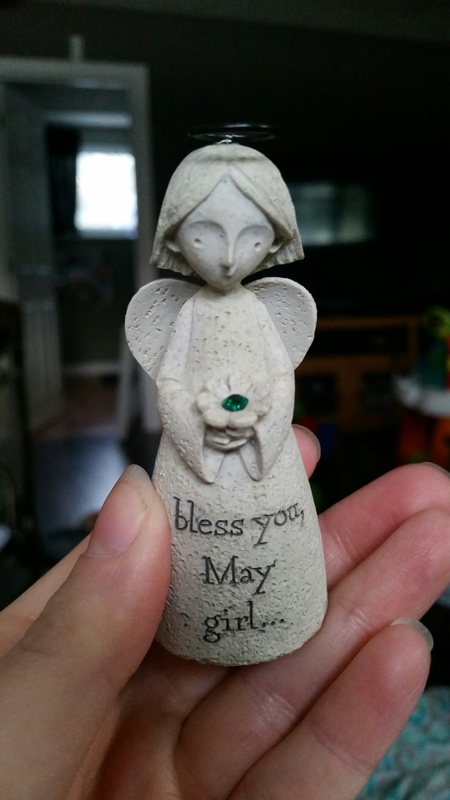 Very sweet and thoughtful gifts!!! Wyatt is sooooo adorable. That sweater! He’s the cutest. We are starting Water Babies this weekend. Not sure if you guys have it over there, but it’s really the best course you can take with a baby. They keep the water in their pool at 30-32 degrees so the babies don’t even need wet suits. 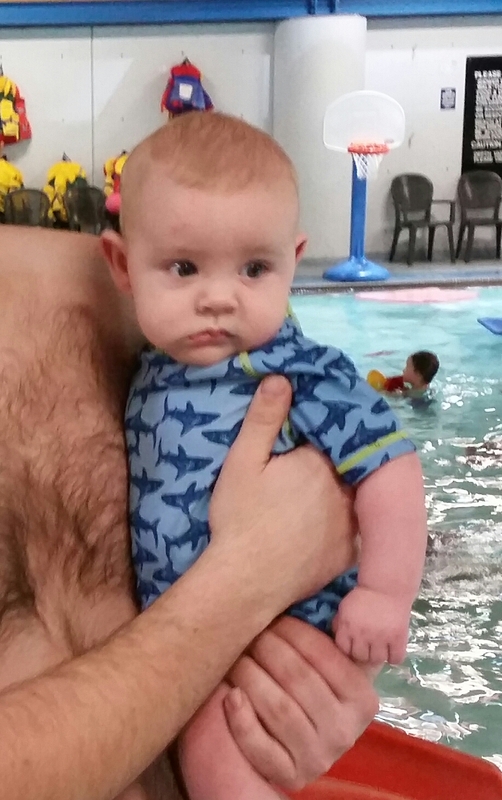 We have swimming lessons of some sort (for babies) starting in April. 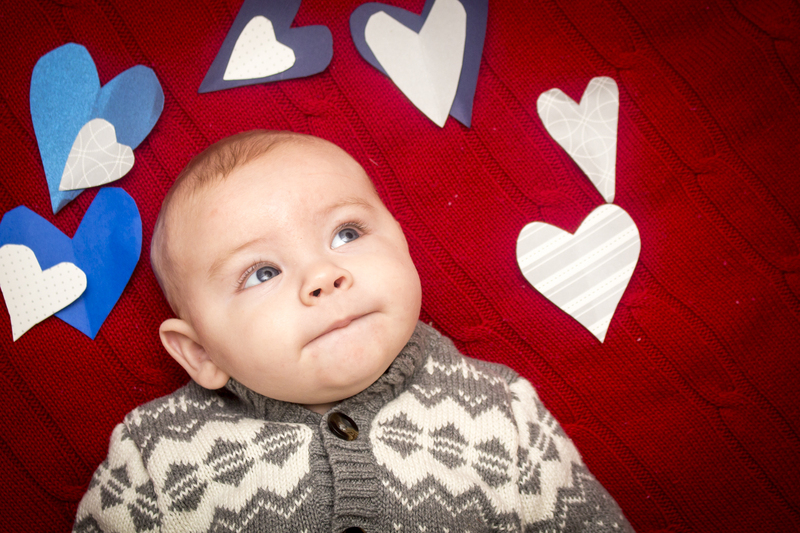 Love the Valentine’s Day pics! Nice gifts, I love how thoughtful they were….he’s so great! I can’t believe he’s already rolling over, he’s so advanced! You two are so damn adorable! I love these! Great photos! And I love the gifts. Your hubby is so thoughtful. Wyatt is doing amazing!!! Rolling over already!?!! Dumplin’ can only go back to tummy with assistance. I guess that’s what I meant. He just started rolling onto his tummy. He’s trying to go back without much luck… I’m sure it won’t be long. I’m amazed at how fast they pick things up. So much love! That is one cute boy. Very nice about the rainbow necklace, that’s so touching. 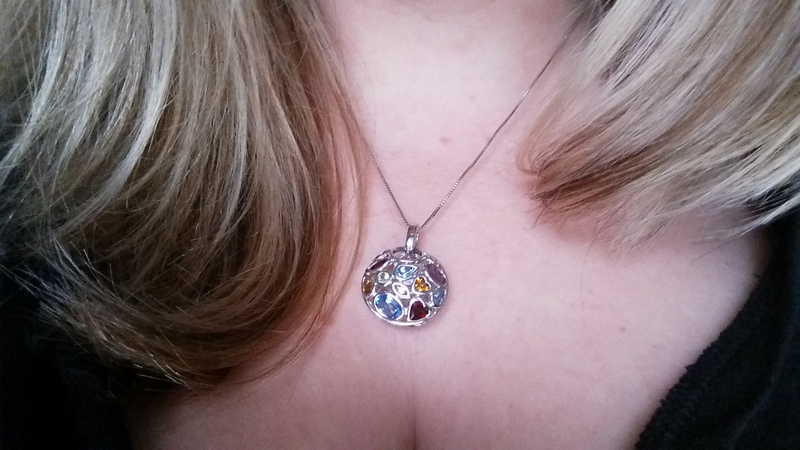 Absolutely love the necklace! Your man is so sweet! 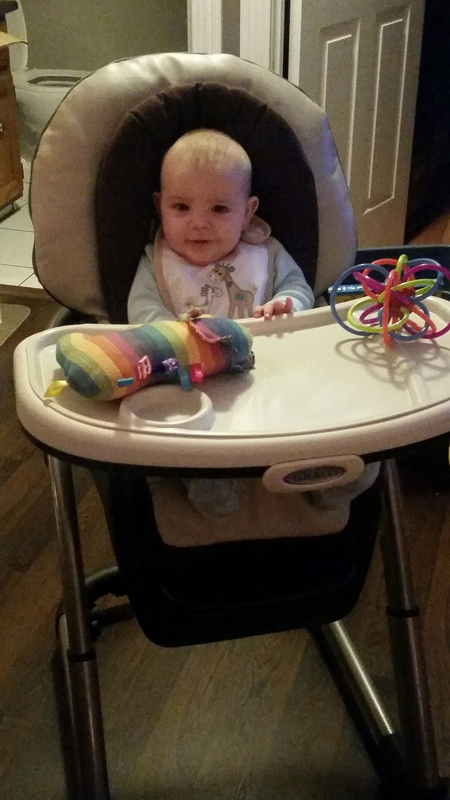 We just rolled over here as well at 3.5 months and started sitting in the high chair! Love that she can sit with us at dinner time now! Love the pictures! your little man is so cute!